Through the process of working toward my 2016 goals and sharing them with you, I kept wondering, "is someone going to read these and think, 'this is nice for her, but I don't even know where to start with my own goal setting?!'" There was a time when I would've looked at someone's goals and thought exactly that. So what is the secret ingredient that got me from being unsure and intimidated by goal setting to using it as a valuable tool to live a purposeful life? Well, it's not a secret. Certainly, there are some great methods and incredible tools and strategies that contribute to successful goal setting (which I'll share in this post), but most of all, you just have to be willing to try. The best thing I can relate it to is learning to ride a bike. As a child, you've never ridden a bike yourself, but you've seen other people ride one, and it looks pretty fun. But, to a young child, a bike is different than a wagon or a stroller or a car--you know, the usual things kids are used to riding. Seeing other people do it, you know you can probably do it too, but you have to try in order to figure it out and to ultimately experience the fun of it. That's kind of like meaningful goal setting. It's different than the things you're used to doing, but you've seen other people do it successfully, and it makes you interested. And, just as with learning to ride a bike, no matter how many people you've watched do it, you can't imagine the feel of your foot pushing the pedal forward or the movement of the handlebars within your grasp until you've experienced it yourself. So it is with goal setting--you can watch and learn from others, but the only way to truly understand the value is to try it yourself. The first time I started working toward purposeful goals, I felt a little out of my element with thoughts like, "am I doing this right?" and "this feels more introspective than I'm used to being with myself." To be honest, there are still times I feel that way. But, if there is any "secret" at all, it's to push through. Those feelings are worth feeling and then getting over in order to take steps toward living your best life. In just over two years of goal setting, I've learned a few things that I hope will help you in your own journey. I've been amazed at how much this process has positively impacted every part of my life, and I am passionate about seeing others experience the power of life lived with intention. Before we go any further, I just want to make sure we are all in agreement with a very important truth: a life of purpose and fulfillment is not just available to a select few-- it's available to everyone, and that includes you. Setting meaningful goals is all about taking action to claim the life you were created to live. It's important to know WHY you want to live a purposeful life. Is it to be be a great wife or mother or daughter or sister or friend? Is it to advance in your job, your health, or your spiritual life? Is it to pursue a creative passion, take on a long-dreamed-about adventure, or help people in need? Whatever it is, we each have things that are important to us, and setting those things as the big-picture for why you are goal setting will help keep you going when it feels hard to take another lap around the goal-setting track. 2. Commit to the process. As with anything that creates a positive impact, it's sticking with it that's half the journey. Taking intentional, purposeful steps toward living the life you want and were created to live can be tough. There will be things that stand in your way and even fight against you. That's why deciding in advance that you're committed is key, no matter what ups and downs the journey may take. That way, when you want to give up, you don't even have to give it a second thought because you've already decided you're not going to! 3. Find a system that works for you. This was a game-changer for me. In fact, this is what gave legs to my goal setting journey more than anything else. 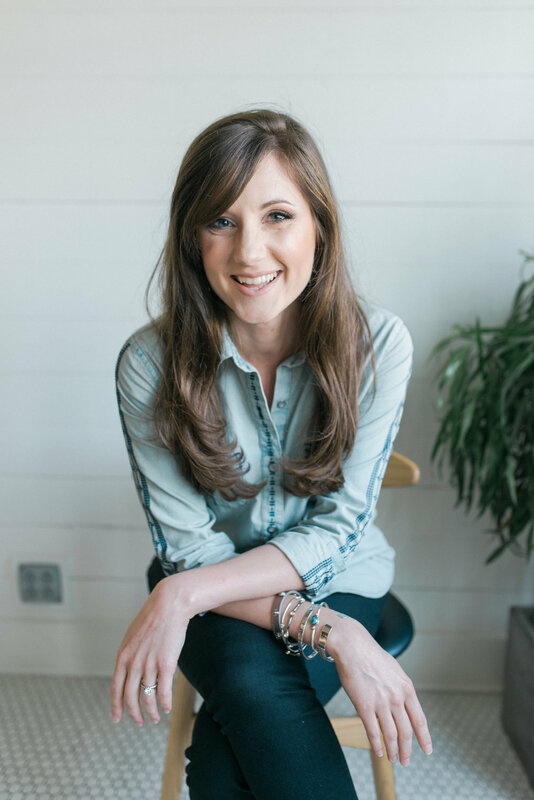 I had things I wanted to accomplish and dreams I was working toward, and when I found Lara Casey's Make It Happen initiative and her goal-setting tool, PowerSheets, something clicked. I completely connected with Lara's heart and philosophy for "making what matters happen," and I highly recommend PowerSheets and her Make It Happen book. Having a tool and a system that has proven to work is such a gift and will help carry you in the goal-setting process when you're unsure what to do next. It was this post by Lara that captured my attention and my heart. Below is the comment I left on her post that day. I have recently become an affiliate with the Lara Casey Shop because I adore their products so much! All the opinions shared on this blog are and always will be my own. I have been promoting this product long before there was any affiliate program available, and look forward to continuing to share my heart for great products with you! I will declare it from the mountaintops, "We are made for community!" The God who created us designed us to be better together. There is such amazing power in including others in your goal-setting journey. This can look like so many different things--sharing your goals with your spouse or a friend, sharing goals with a small group of friends, or connecting with people online to share in the journey. A great place to start is right here. I would love to hear from you and cheer you on in your goals! I could write this a thousand times. There have been so many times in my goal-setting journey where I have missed a deadline (ahem, remember my recent post), not completed a goal, or faced my own unmet expectations. How did that leave me feeling? Guilty. Shameful. Sad. Embarrassed. Not good enough. When I faced those feelings, I was left with two options: either give up or practice grace. I chose grace, and it has changed me. Grace helps rewrite my failures into my future. Grace gives me a soft place to land when I've been tossed around by the demands of expectations. Grace pats me on the back and says "It's ok. Just keep going." Have grace for yourselves, friends. Your goals won't be perfect, your process won't be perfect, and you won't accomplish everything perfectly, but with grace, you will uncover the beauty and treasure hidden within the imperfections. You will discover that it doesn't have to be perfect to be purposeful. I LOVE this video by Lara Casey proclaiming PURPOSE over perfect. I have had to lean on all five of these areas time and time again, and I hope they will help give you the nudge, prompt, or heave you need to live your most beautiful, purposeful life. How can I help you or encourage you? Leave a comment below!